Death toll rose to 85 as of Friday night, including 21 firemen, from the massive warehouse explosions hitting north China's Tianjin City Wednesday night, the rescue headquarters said Saturday. Twenty-seven-year-old Yang Kekai couldn't get his terrible experience out of his head when he arrived at the blast scene in North China’s Tianjin on Wednesday night with 30 more colleagues as he lay in a hospital bed recovering. 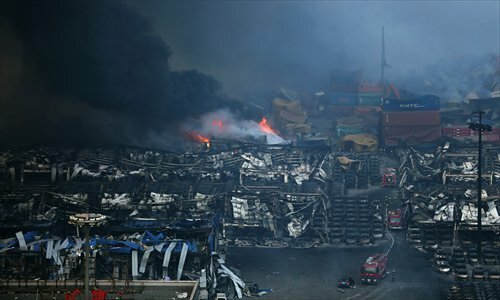 The China Insurance Regulatory Commission (CIRC) has asked for a quick response to insurance claims following the deadly blasts in the northern port city Tianjin. More than 700 people have been injured in the massive explosions. 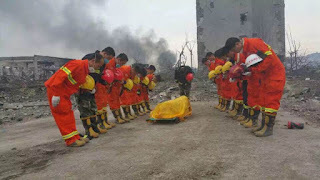 Of these, 25 are now reported to be critically wounded and 33 others are in a serious condition. 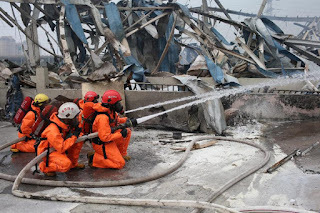 The condition of those with critical burn injuries is particularly serious. They are now receiving treatment at the hospital affiliated to Logistics University of People's Armed Police Force in the city. 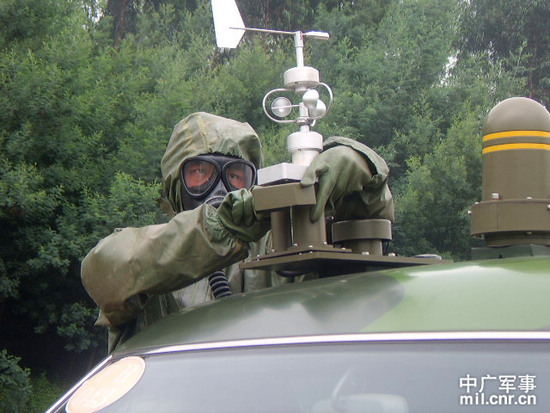 Specialized anti-chemical warfare soldiers entered the core area of the Tianjin blasts site on Saturday morning to search for possible lives. On Friday morning, officers and soldiers from the anti-chemical warfare corps of the Beijing Garrison Command were seen taking samples of the explosives at the Tianjin Blasts Site, according Military Online. 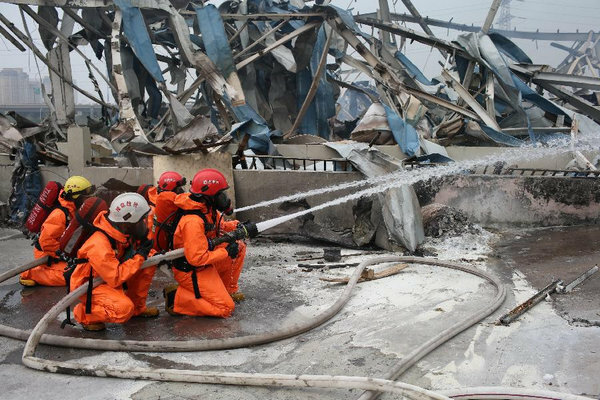 The pictures taken by People’s Daily on Friday shows firefighters were still trying to put out fires in Tianjin Blasts site. 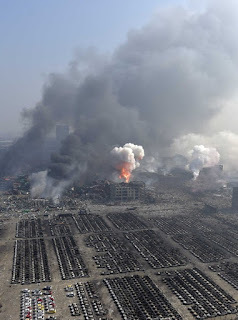 By 2:15pm Beijing time, there were still fires with smoke and smells.